Tuesday, April 02, 2019: Got a couple calls about a “blitz” being highly visible in the Barnegat Light beach area. I’ll dub it a surface showing of some sort since no anglers – that I know of – tested the waters for content. Nonetheless, I can’t help but get this sense that our April waters are livelier than they have been in years. Again, that's the born optimist in me, but I’m basing this on a slew of assorted marine life sightings, including amazing gannet play and seals so well fed they’re simply taking single bites out of captured seafood prey then dropping the rest out. Tons of once-bitten washups coming ashore prove this. VERNAL BASSING: It should be no secret – in other words, I should be allowed to report -- that the bay is holding schoolie bass, most catchable after dark. Manahawkin Bay is primed, though I’m not getting into exactly where, around the bridges, to seek said stripers -- by using plastic or even slowly presented surface poppers and swimmers. The SB Fishing pier is worth some nighttime casts, though the nearby Hochstrasser span is assuming its old role as a bass magnet. One sharpie is plugging the nearby old night-wading weakfish flats to nab bass to 25 inches. In “Town” (BH), common bayside fishing areas are offering some stripering, though there is no pattern to when the bass are inclined to take in slow artificials. Bayside Holgate sod banks saw a couple nice stripers taken, one a keepable. Not sure if that was from shore or from boat/kayak. There's still a ton of secrecy among anglers, even when nobody is around to inch in. As implied above, the beach is seemingly juiced for bait fishing, via clams, worms or smaller bunker chunks. A combo of real and fake-o worms is a go-to presentation. LBI surfcasting all comes down to weather, wind/waves and water clarity. And, yes, clearer water can be a significant bettering factor when in pursuit of scattered spring bass. While I seldom report on them due to limited nearby take areas, white perch are starting to show, but barely so. J.M got enough to “fry up.” He used grass shrimp that he netted himself off Road-to-Nowhere. BOUNCING BACK: Elsewhere, in the also-matters realm, below you’ll see news stories offering good to amazing reports of cod and natural salmon stocks rebounding. 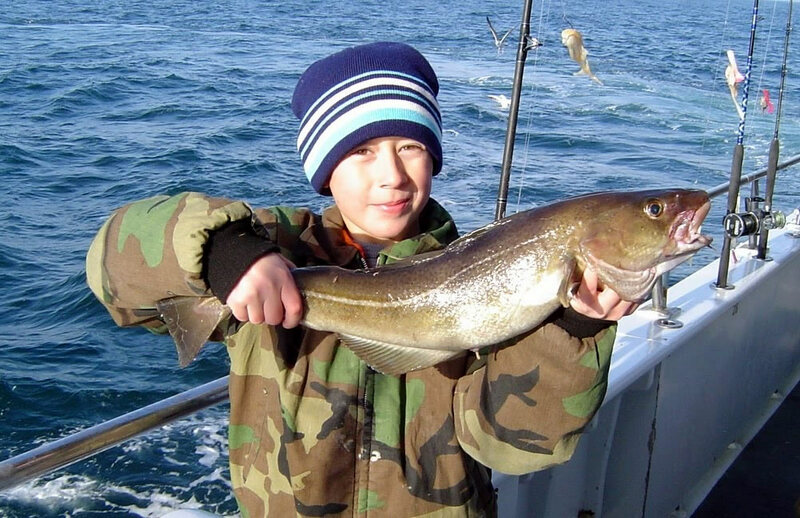 While these species are only of minor import to us – cod for our winter fishing and salmon for our fish market purchases – their bouncing back with vigor is more proof of overall species resiliency and the impacts of successful management. The rapidish rebound of any fish species is reassuring as we go through massive dips in some fisheries, like weakfish, tog and (some say) striped bass. While due diligence is needed to assure that swooning species get harvesting relief if needed, recurring evidence that stocks can go through huge fluctuations -- based on factor likely above and beyond those of mankind’s makings – perk up hopes for each arriving angling season. Speaking of local waters, humble and beautiful Westecunk Creek, anglicized West Creek, is in line to become a Category One waterway, part of 749 miles of state rivers and streams being targeted by the Department of Environmental Protection for such a coveted status. I know the ancient creek by heart – its heart. I’ve kayaked it until it came out my ears, during the many times I’d jump in for cool dips within its Pineland’s brown waters. It is very much the same wonderful waterway it was when colonizing Europeans facilely dubbed it West Creek, ignoring the far more eloquent Lenape name Westecunk -- which means, well, West Creek … but spoken with a Lenape accent. The DFO held a technical briefing today on Northern Cod in St. John's. The good news is that the spawning biomass has returned to its level of 2 years ago, about 48% of the critical level needed for a healthy fishery. 'The industry group that represents year-round groundfish harvesters across Atlantic Canada said they were encouraged by the recent Northern Cod (2J3KL) stock assessment update from the Department of Fisheries and Oceans (DFO). After the Northern Cod moratorium in 1992, the stock showed promising signs of rebuilding in the late 90s. However, intense pressure from the FFAW led to the fishery being increased, with far too many fish being taken out of the water. As a result, the stock collapsed a second time and the fishery was shut down in 2003. The Atlantic Groundfish Council and its members, including Alberto Wareham, President and CEO of Icewater Seafoods in Arnold’s Cove, NL, hope the lesson has been learned on the consequences of aggressive catch increases of a stock still in recovery. Harvesters argue that a higher quota is justified because the stock can sustain small increases in fishing mortality. However the Groundfish Council claims that the difference between the cod stock today and in the 1977 was that although the spawning stock biomass is similar, recruitment of young year classes in 1977 was three times stronger. In other words, the spawning stock biomass is expanding based on a much slower level of recruitment than seen in 1977. The Alaska Department of Fish and Game’s salmon harvest forecast for the season is 213.2 million fish, some 97.5 million more than last year’s landings of 116 million salmon. The forecast was released late last week. Odd-year returns of pink salmon have traditionally been higher than even-year returns, and this year is no exception. What is different, though, is the high uncertainty attached to this pink forecast, which is almost 100 million more pinks than 2018. “We note that—except for Southeast Alaska—pink salmon forecasts are generally based on average returns from previous brood years,” notes management biologists who produced the report released last week. “The pink salmon run forecast for 2019 is partly an artifact of this method; there is a great deal of uncertainty in predicting pink salmon returns,” they wrote. Compared to last year, there will be 8.9 million fewer sockeye or red salmon; 900,000 more coho salmon, and 8.7 million more chum salmon. If realized, the projected commercial chum salmon harvest would be the largest on record for Alaska. The phenomenal success in recent years of chum salmon returns in Southeast, Prince William Sound, Norton Sound, and Southcentral Alaska appears now to be a trend. Very low expected harvests of pink salmon in Southeast Alaska may be offset by higher projected harvests in Prince William Sound. The point estimate for landings of pink salmon in SE Alaska is 18 million. In Prince William Sound nearly 11 million wild pinks and 22 million hatchery pinks are expected to be harvested with another several million coming from the Valdez Fisheries Development Assn. Sockeye harvest in the Copper River, scheduled to begin in May, are expected to be just under 1 million fish, at 955,000 sockeye. Those red salmon will be augmented by a bumper year at the Coghill River weir of nearly half a million sockeyes, much larger than historical averages. A modest 3 million sockeyes are expected to be harvested this year in the Upper Cook Inlet. Kitoi Bay pink harvest is projected at 6.6 million fish. A total of 40.18 million sockeye salmon are expected to return to Bristol Bay in 2019. This is 10% smaller than the most recent 10-year average of Bristol Bay total runs (44.4 million), and 16% greater than the long-term (1963–2018) average of 34.2 million. 1.15 million to the Togiak District which translates to 870,000 reds. Just a few months ago, members of the Atlantic Salmon Federation were celebrating. Initial figures from Greenland showed the salmon catch clocked in under 18 tonnes, two fewer than the limit agreed to under a deal between the federation and the Association of Fishers and Hunters in Greenland and North Atlantic Salmon Fund in Iceland. However, that celebration has fizzled. Federation spokesman Neville Crabbe says the final figures have more than doubled to over 40 tonnes of fish. Crabbe said the federation received a letter from the government of Greenland explaining the sizeable discrepancy occurred because of problems with reporting from communities, as well as miscalculations made on the government's part. "Fishermen who had filled out paper reports of their catch and left them at municipal offices up and down the west coast of Greenland, those reports weren't submitted in a timely manner to the government's licensing authority," he said. The deal reached between the federation and fishers' association in Greenland sets out a 20-tonne subsistence quota, much less than the 45 tonnes that communities on the country's west coast have historically brought in. It also banned commercial fishing in the area by providing fishing communities with financial compensation equivalent to the market price of the 25 tonnes of salmon they can no longer catch. The federation is working to learn more about how the drastic shift in numbers happened and plans to make sure it doesn't happen again, Crabbe said. "I think it speaks to the difficulty of enforcing fisheries agreements everywhere." He said the challenges of the agreement with Greenland include trying to work across time zones, languages and cultures. Still, Crabbe said Greenland's government deserves credit for the work it has done already to protect salmon populations in the Atlantic. They have enacted important regulatory measures that now require for the first time that all fishermen be licensed and that all fishermen report their salmon catch, he said. "Unfortunately that reported figure is higher than we initially believed it to be." Crabbe said the unreported catch has always been significant in Greenland. He cited figures from 2014, when the reported harvest was 58 tonnes, but a panel of international scientists estimated the unreported catch may have been as high as 30 tonnes, bringing the total catch for the season to almost 90 tonnes of fish. "Its the broad international scientific consensus that there are not enough adult Atlantic salmon in the whole north Atlantic to support a mixed stock fishery at Greenland," Crabbe said. Salmon come into Greenland's waters from more than 2,000 rivers. Some come from healthy populations, but others come from rivers where the fish are threatened. "The fishery can't discriminate between fish taken from a healthy population and fish taken from depressed populations. So that's why the Greenland fishery has a magnified negative effect," Crabbe said. He said as they head into the second season under this agreement the federation is confident in its efforts to improve reporting and reduce the number of fish taken every year. Mexico's president said Friday he regrets a confrontation between fishermen and marines trying to prevent the illegal fishing that has driven the vaquita porpoise to the brink of extinction. The Mexican Navy said at least one fisherman was shot when a marine's rifle accidentally discharged, and fishermen say two more people were slightly wounded in subsequent protests on Thursday. It was the highest casualty toll yet in a long-running confrontation between environmentalists and fishermen angry over lapsed government support payments that were meant to compensate them for income they lost because of a total ban on gill nets. "Yesterday there was unfortunately a confrontation, I very much regret it," President Andres Manuel Lopez Obrador said, adding that he has been discussing the situation in the Gulf of California for several days with top officials. Fishermen in the community of San Felipe set illegal nets to catch Totoaba fish, whose swim bladder is considered a delicacy in China. The nets also drown vaquitas, a small porpoise that lives only in the Gulf — also known as the Sea of Cortes — of which perhaps as few as 10 remain. The only force effectively protecting the vaquita are two boats operated by the environmentalist organization Sea Shepherd, which go out daily to haul in illegal nets. Because the nets coast about $3,000 apiece, in recent months the fishermen have launched increasingly violent attacks on the larger Sea Shepherd vessels, to try to run them off or take back seized nets. Because Mexico's Navy has tried to avoid confrontations, the fishermen have become increasingly bold. That set the stage for Thursday's clash, which basically started as a chase when an illegal fishing boat tried to grab its nets back from the Sea Shepherd vessel "Sharpie." The Sharpie "was attacked by a boat that was trying to recover illegal nets," the Navy said in a statement. "After taking back their nets, the boat fled back to San Felipe, Baja California." A Navy boat and land patrol truck pursued the small open fishing boat. Because area's shores are often broad, flat and shallow, illegal boats often motor up to waiting boat cradles towed by pickup trucks that drive onto shore to pick them up and flee. This time, however, "Marines carried out vehicle maneuvers to try to capture the boat and detain the culprits. But during these maneuvers the Navy vehicle was hit." Photos from the scene showed the pickup towing the boat had hit the back of the Navy patrol truck. A melee ensued as shouting fishermen surrounded and confronted the marines. "The presumed culprits put up resistance and scuffled with Navy personnel, with the unfortunate result that a firearm accidentally discharged, wounding one person," The Navy said. "This drew a larger group that attacked the Navy personnel, who withdrew to avoid a confrontation." Sunshine Rodriguez, a leader of the fishermen in San Felipe, said the wounded fishermen was in serious condition at a hospital. He said two other local residents were slightly wounded by gunfire when residents confronted marines at a subsequent protest. Rodriguez said both of the wounded had been treated and released for non-life-threatening injuries. Rodriguez acknowledged that starting on March 23, fishermen had decided to violate a total ban on gillnet fishing in the area, in part because the government had stopped making compensations payments in November, before Lopez Obrador took office Dec. 1. "This was a time bomb that was set up by the previous administration," Rodriguez said. "They know that we don't have the means to survive more than three months without payment." Rodriguez said fishermen want net-fishing re-opened in the 80 percent of the vaquita's habitat, where the porpoise has been sighted in years. He called on the government to hire the remaining fishing boats to carry out permanent patrols in the remaining 20 percent of the reserve where the last few vaquitas have apparently gathered. Experts say that gill nets have to be permanently banned in the area if there is any hope for the vaquita and the totoaba — itself an endangered fish — are to survive. Copyright © 2019 Dow Jones & Company, Inc. Sitting behind his desk at the University of Washington's electrical and computer engineering department, Jenq-Neng Hwang watches a video of a fish flopping as it's pulled out of the water on a commercial fishing boat. It's probably a halibut. He's not exactly sure. His job isn't to know the species of every fish caught on such boats. It's to create machines that know—computers that use machine learning to instantly distinguish between hundreds of species, count and measure the length of each fish and record where it was hauled in—all while the fish are very much not holding still. "If all this information can be estimated in real time on thousands of fishing boats, then we are doing real-time monitoring of the whole ocean," says Prof. Hwang, whose work is part of the Electronic Monitoring Innovation Project through the National Oceanic and Atmospheric Administration's Alaska Fisheries Science Center. Scientists, engineers and fishermen and women around the world are deploying machine learning and computer vision to better understand the health of global fish stocks and attempt to preserve their future productivity. Cameras, satellite imagery and computers guided by artificial intelligence all have roles not just in identifying and measuring daily catches, but in tracking possible illegal fishing as well. Peter Mous, director of the Fisheries Conservation Program at the Nature Conservancy in Indonesia, works with local fishermen to try to understand whether, or to what degree, fish stocks in the region are overexploited. For the moment, most of this work is still done manually. Technicians for the conservancy in Indonesia examine digital photographs of fish, mostly snappers, taken by the crews of about 300 boats, or 3% of the roughly 10,000 fishing boats in Indonesia. Snappers are some of the most sought-after fish in these waters. If most of the snappers in the photos are fully grown, Mr. Mous says, that suggests the snapper stock is in good condition. If the boats are catching small fish, he says, it generally means the stock is overfished. In the enormous area that Mr. Mous is studying, covering three time zones, he says there's a mix of stocks. Some are healthy, but others consist primarily of juvenile fish—suggesting overfishing in those areas. Within five years, Mr. Mous wants to be working with 5% of the fishing fleet. But it will be difficult and not very cost-efficient, he says, to keep examining the increasing load of photos manually. In addition to the volume, even professionals have trouble keeping track of all the different species present in Indonesian waters, which Mr. Mous calls, "in terms of marine life, the global center of biodiversity." To be able to step up its monitoring capacity, the conservancy has enlisted a Swedish company, Refind Technologies, to help it develop an automated system, called FishFace, that uses machine learning and computer vision to identify and measure fish and count catches. The programmers of FishFace, which is currently deployed on one boat, don't tell it what characteristics to look for to identify a fish. Instead they show it thousands of pictures of fish whose species are identified, then let the program figure out what characteristics it will use to differentiate each species. The goal, Mr. Mous says, is to be able to present data to Indonesia's Ministry of Maritime Affairs and Fisheries in support of setting some limits on catch sizes, limiting numbers of boats or perhaps shortening fishing seasons. In Indonesia, he says, aside from a few protected areas, there are no limits on what fishing boats can catch. In time, Refind co-founder Johanna Reimers says, the data collected by projects like FishFace could be used to certify that fish bought at a supermarket in, say, Montana, was legally caught halfway around the world. In addition to counting fish, machine learning can help monitor boats. Global Fishing Watch is an international nonprofit that seeks to monitor, expose and prevent illegal commercial fishing and raise awareness of unmanaged overfishing. Offshore from countries like Namibia, for example, with some 900 miles of coastline and nowhere near the monitoring resources of richer countries, it's easy for unlicensed ships to come in, scoop up fish and disappear. Using machine-learning programs that analyze data from sources including radar and GPS, the group creates a map that shows all vessels over 49 feet in length that it can find. It also shares information privately with governments in places like Peru, Indonesia and Panama to help them use their limited resources to go after possible illegal fishing. The nonprofit's computers can analyze the movements of boats and the equipment they use to determine what they're fishing for, and whether they're licensed to do so. 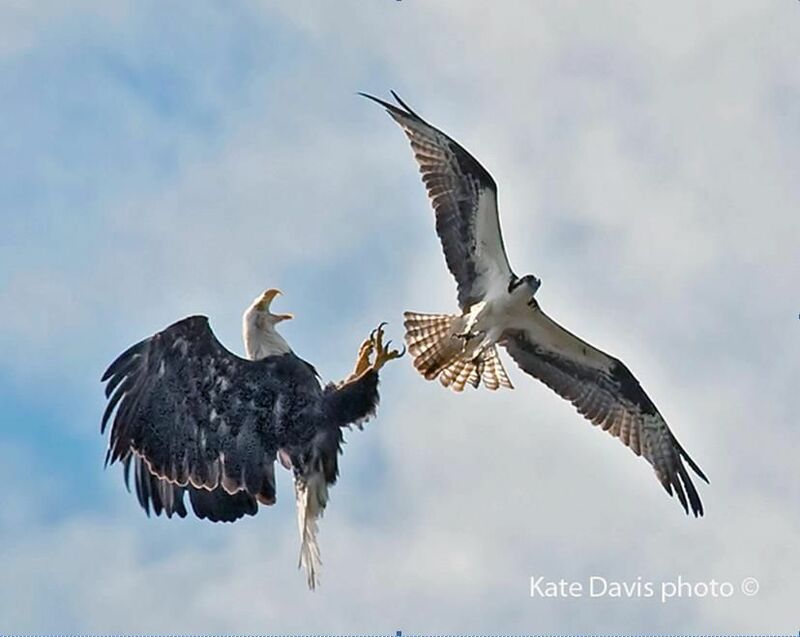 "You can make a pretty good guess about what kind of species they're targeting based on what species is likely to be there and can be caught with that kind of gear," says Paul Woods, chief technology officer. Mr. Woods says that within 10 years, as his group gets more data—including from governments about their countries' fisheries—Global Fishing Watch hopes to be able to detect "everything that's extracting anything from the ocean and make that generally transparent and publicly visible." Increasing transparency, he says, might entice action by governments that aren't inclined to admit to a problem with illegal fishing. Improving the counting and examining of commercially caught fish in real time will be a big help in tracking the health of global fish stocks. That data may also yield insights possibly resulting from the effects of global warming. As the climate changes and fish disappear from one area and reappear in another, for example, data gathered by monitoring could be used to help direct fishermen to areas where they are likely to catch more fish. Farron Wallace, a fisheries biologist in the North Pacific Observer Program at NOAA's Alaska Fisheries Science Center, is leading AFSC's Electronic Monitoring Innovation Project, working with Prof. Hwang at the University of Washington, to use computer vision and machine learning to eventually keep track of stocks in real time. The planet is getting hotter every year, Mr. Wallace says. "We need to have much better information…to really do a good job of trying to understand how climate change is going to affect those resources out there." Mr. Wallace and Mr. Mous agree that global warming isn't expected to negatively affect populations of all species of fish. "The whole global warming is very much a wild card," says Mr. Mous. "You know that things will change in fisheries, but you don't know exactly how. For that reason, it is important also to keep a finger on the pulse." We are pleased to announce that the bulkhead replacement project at Barnegat Lighthouse State Park will begin next week. This capital project will require that the picnic area, including the gazebo, be closed for the next several months. The scheduled completion date is early September and we will post any changes to that schedule. Please adhere to the closure for your safety and so that the project can be completed on time. This project will not affect access to the lighthouse, the jetty walkway or the beach.